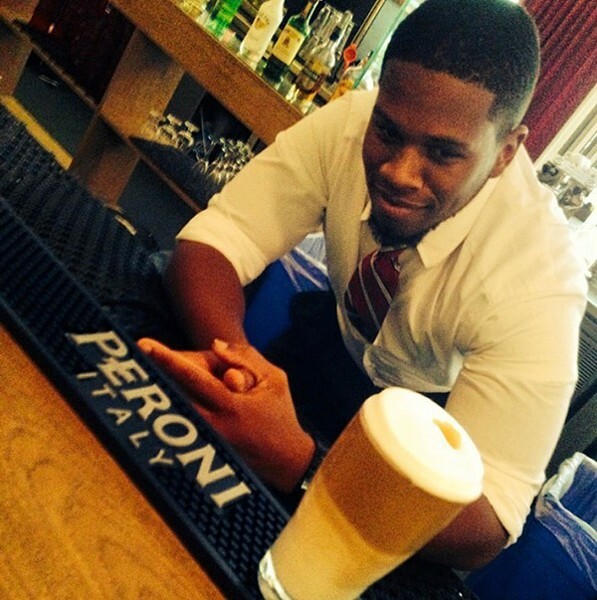 If you walk into Vapiano Charlotte and happen to see a huge pizza whirl by your head, don't worry, that's just RJ. 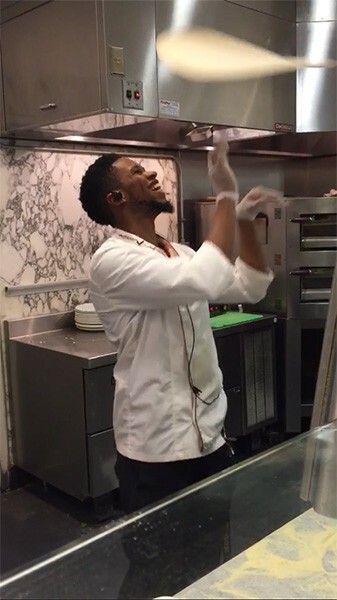 Culinary pro and restaurant manager RJ Miller went from tossing towels around his apartment to tossing pizzas at one of Uptown's trendiest eateries and is now enjoying a succesful career doing what he once dreamed of as a kid: sending pizzas in the air expert style. Of course, pizza tossing automatically gets you cool points in our book, but combine that with the fact that RJ's pizzas are just as exciting to eat as they are to watch him make and we decided we had to find out more. So Creative Loafing caught up with Miller to find out how he's stacking up his dough both literally and figuratively while serving one of the world's most popular foods. Creative Loafing: When we found you, you were actually covered in flour and spinning pizza dough. You're really serious about this, huh? RJ Miller: (Laughs) Yea, I guess you could say I am. I love making pizza and of course I've loved eating it ever since I was a child. Who didn't? I think my first pizza memory is of me watching a pizza tossing competition on The Food Network. I was immediately fascinated by the tricks and all I remember thinking to myself was there was no way that was real food! I figured it had to be magic. Now that I'm trained in culinary arts and more mature, I realize, yea, that was real food, its just a matter of having the right ingredients combined with the right skills. That's where the magic comes in. You make pizza for other people all the time and one of the great things about the dish is the ability to really make it your own. How many pizzas would you say you've made for people and what ingredients would you put on your own "perfect" pizza? At this point I've made way too many pizzas to even think about counting. I should have started sooner, but it's been a lot. As for my own perfect ingredients for the ideal pizza that would have to be olive oil and garlic base; fresh, wholesale mozzerella; thinly shaved, marinated steak; oven-roasted tomatoes; pickled red onion; and chimichurri drizzle. I'm getting hungry just talking about it! Ok so you shared your perfect pizza but everyone has a different definition of perfection. What's the strangest pizza order you've ever gotten and how did you handle the challenge? The strangest order we've gotten was for a Flamin' Hot Cheetos Flavored Pizza. For a second we were scratching our heads like, "OK...." but eventually we came up with a traditional pizza crust with a tomato sauce base, mozzerella and parmesan blended cheeses, a few dashes of Texas Pete, sliced chicken breast topped with Flamin' Hot Cheetos after it was done baking. For now I'm still sticking with my own personal favorite choices for toppings, but those types of orders definitely make for a unique pizza and a great conversation.